I am hoping my kids love the idea of buttermilk pumpkin pancakes for breakfast as much as I do. These yummy pancakes may be making a breakfast appearance later this month for our semi annual conference breakfast! Y-U-M! 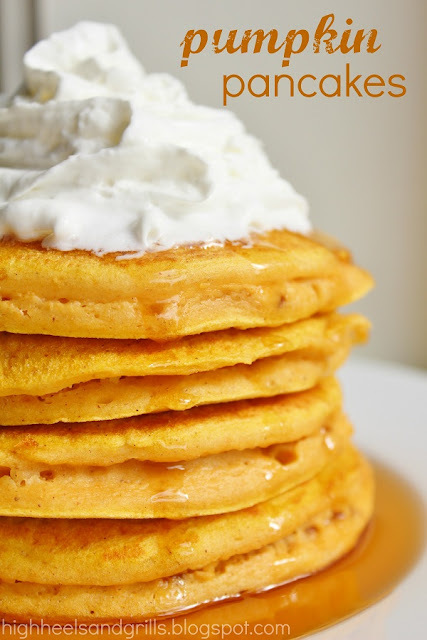 You can get the recipe for these yummy Fall pumpkin pancakes over at High Heels and Grills.